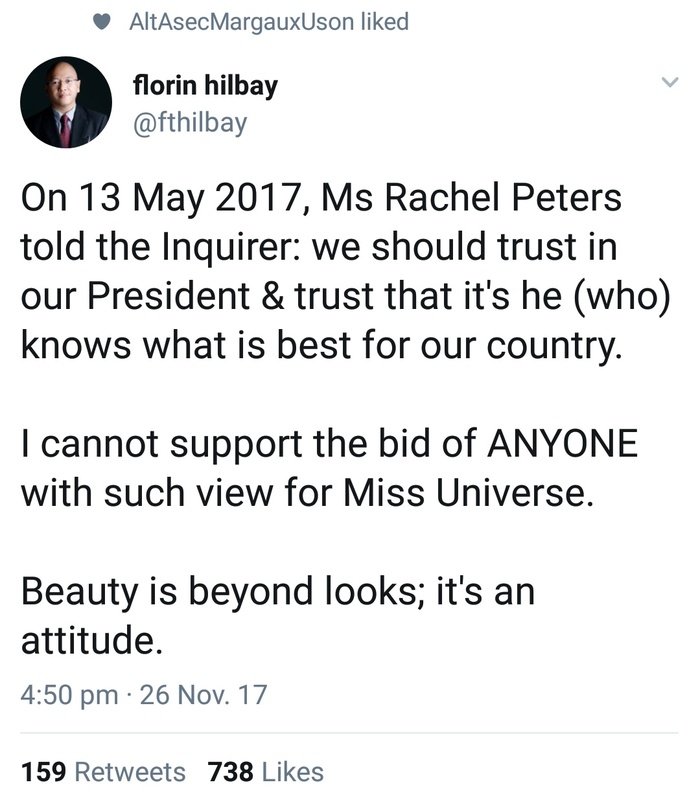 Former Solicitor General Florin Hilbay tweeted today that he cannot support Ms Rachel Peters who is representing the Philippines in the Miss Universe beauty pageant because she expressed her support for Philippine President Rodrigo Duterte in an interview published on the Inquirer in May. 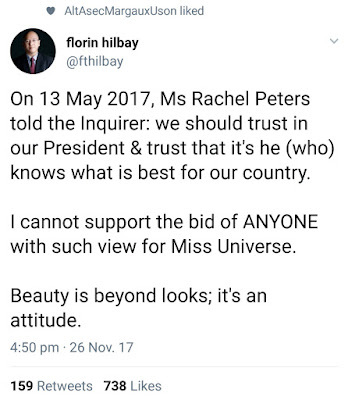 You just gotta wonder why Hilbay even went there. 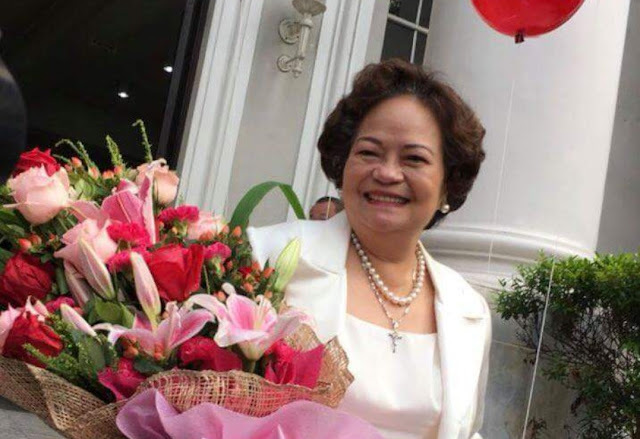 Filipinos' support for celebrities is at a vastly different wavelength to the brainwaves used to evaluate national politics. 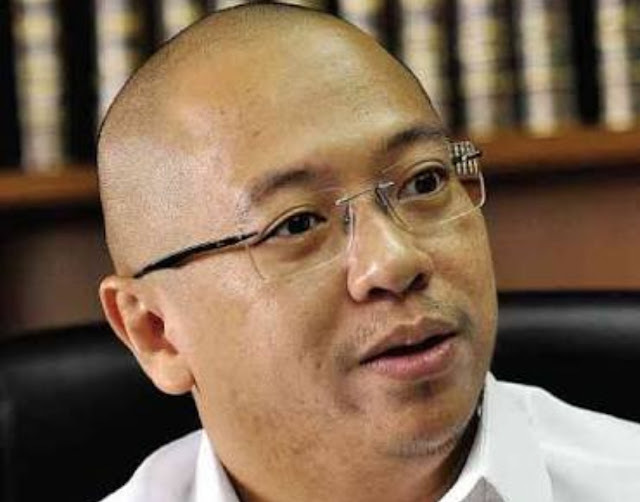 Hilbay not only wastes his time going there, he just proves that he is, plain and simple, a dimwit for connecting two dots that make no sense to connect. 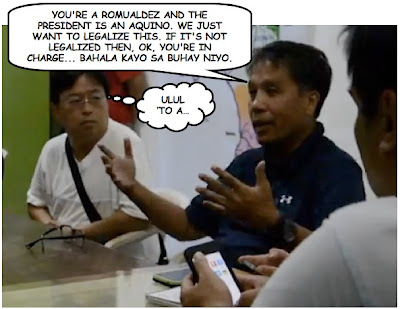 Dimwit is apt. 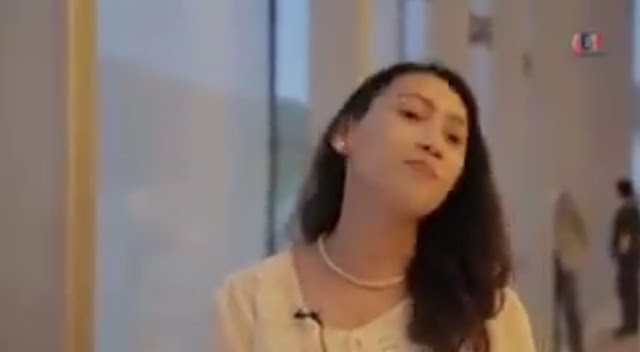 That self important idiot thinks he's god's gift to mankind.